For decades researchers have sought to find the best diet to help people achieve the elusive goal of permanent weight loss. In the context of a worsening obesity epidemic and massive efforts underway to attempt to curb it, health professionals and the public are hungry for an answer. What diet will best help us improve the weight and health status of the most people? While the mainstream press and numerous best-selling authors have successfully created cult-like followings for “low-fat” and “low-carb” eating plans, researchers have consistently found that when the eating plans are closely compared, the weight loss and health outcome differences are minimal. The more important factor is adherence. A recent randomized controlled trial from Stanford University School of Medicine put low-fat and low-carb diets head-to-head once again. However, this time the study sought to respond to earlier, smaller studies suggesting that perhaps a genetic variant and baseline insulin secretion are factors linking a person’s favorable response to one diet versus the other. 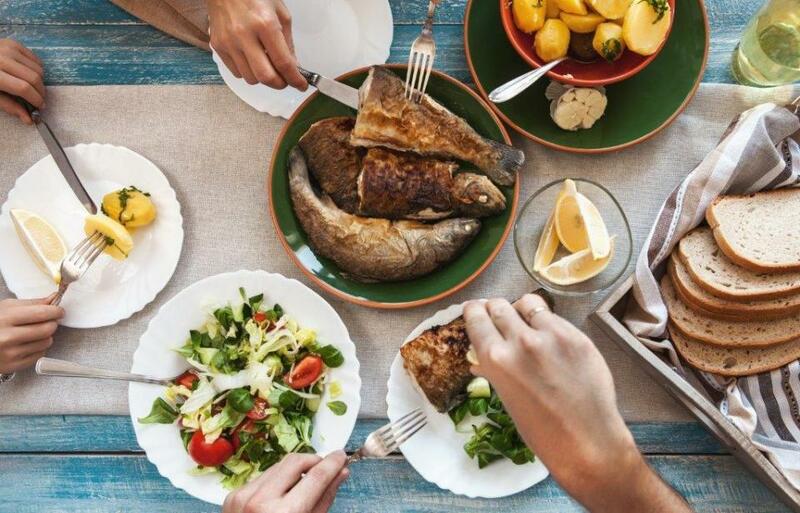 The genotype and baseline insulin secretion were collected from 600 study participants who were randomized to a healthy low-fat diet or a healthy low-carbohydrate diet for 12 months. Note: Both groups were instructed to maximize vegetable intake; minimize added sugars, refined flours, and trans fat; and focus on minimally-processed, nutrient-dense whole foods, prepared at home as often as possible. Ultimately, there were few significant differences and no relationship between genotype and baseline insulin secretion, diet type and weight loss success. Both diet groups consumed about the same number of calories—a 500-600 calorie deficit from baseline, per day. This occurred despite no instruction to follow a specific caloric intake restriction. Participants in the low-fat diet group lost about 12 pounds in 12 months and the low-carbohydrate group lost about 13 pounds in 12 months—not a significant difference. Both groups also experienced overall improvements in cholesterol levels, blood pressure, insulin and glucose levels. This well publicized, high quality study showed what other high profile, quality trials have shown before it: low-carbohydrate or low-fat is not important. Rather, the “best” diet is one that a person can maintain indefinitely. Moreover, to optimize health and weight loss, it is time to change the conversation for good from focusing on macronutrients (carbs, protein, fat) and specific levels of caloric restriction to discussing food quality. Thus, the best diet is one that is high-fiber, minimally processed, low-added sugar, mostly “real” food prepared at home.